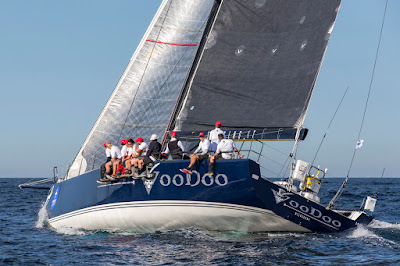 Day two of the Noakes Sydney Gold Coast Yacht Race has Jim Cooney’s 100ft Comanche is eating up the miles and holding a 10 nautical mile buffer to the nearest challenger, the Oatley family’s Wild Oats XI. 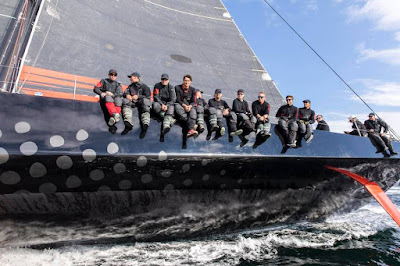 Comanche’s ETA to the finish line off Main Beach is between 3:00 am and 9:00 am Monday morning, July 30, 2018. 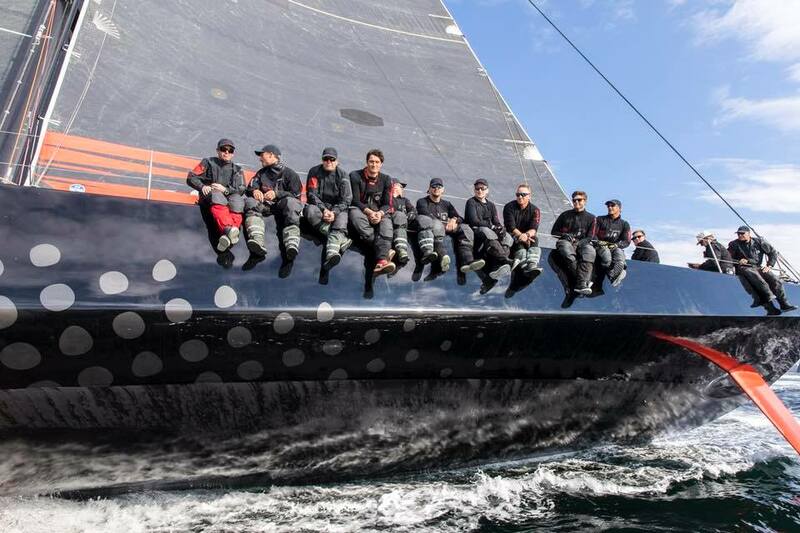 “We are very happy with Comanche’s performance, especially in the light winds at the start which is an area we have been working on. We are now sailing a little faster than Oats and we think we can hold this lead. 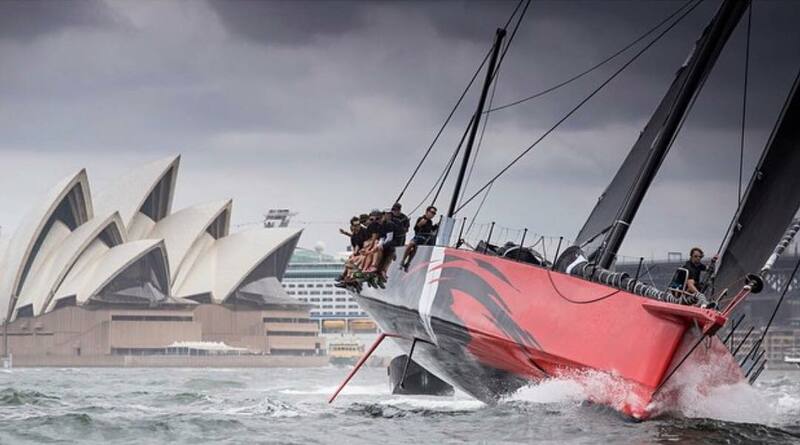 The forecast suggests a swing to the NW around 1700hrs which will hopefully take us to the finish. 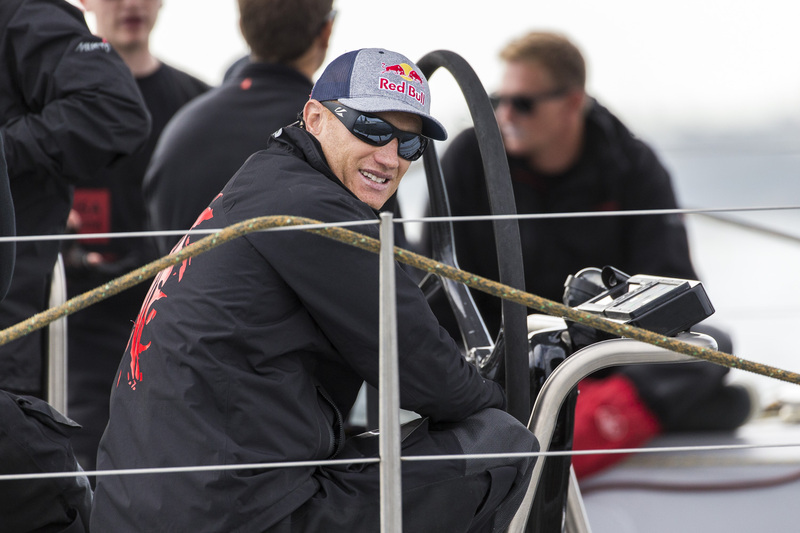 We opened up a lead on the others between 0300 and 0600 this morning" he added. It is Comanche’s first attempt on the 33rd season-opening coastal race north to the Gold Coast. 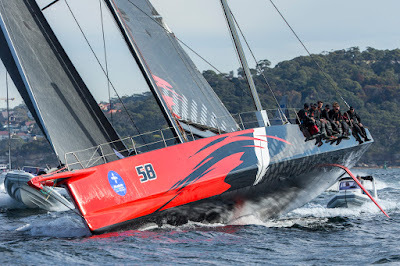 Cooney’s hull-shape is well-matched to the conditions and the team ripe for a line honours triumph, one of the boxes to tick on the way to this year’s Rolex Sydney Hobart Yacht Race. 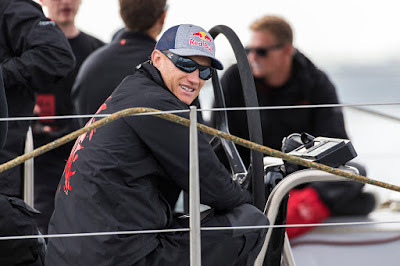 James Spithill, Stan Honey, Kyle Langford, Brad Jackson and Pablo Arrate are some of Cooney’s better-known crew taking on more of Australia’s best who are spread across the three other supermaxis; Peter Harburg’s Black Jack, the Oatley family’s Gold Coast record-holder and defender Wild Oats XI and Christian Beck’s InfoTrack, which made good gains overnight. The battle for second is fierce. 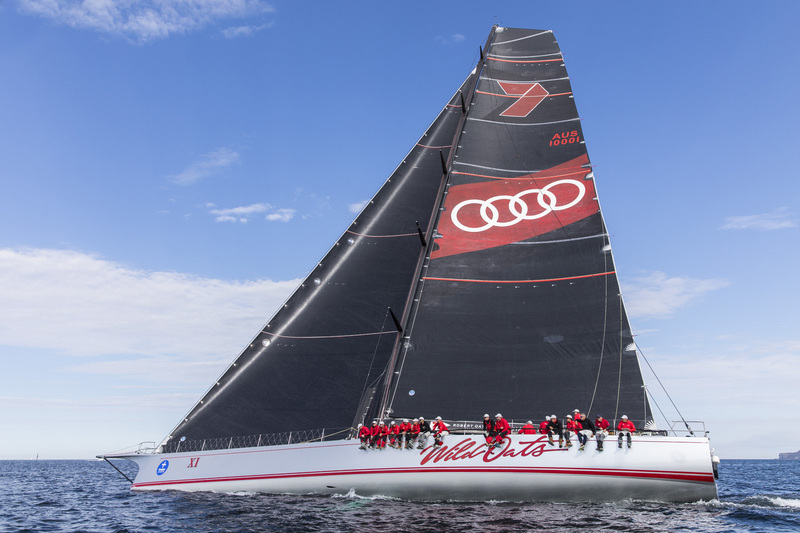 Black Jack, InfoTrack and Wild Oats XI have all had a turn at second since the 1.50pm start on Saturday and now Wild Oats’ is chasing down Comanche as the front runners continue to maximise northerly winds ahead of a forecast change. Handicap leaders at 1400hours on Sunday included Carl Crafoord’s Cookson 12 SailExchange first and Zoe Taylor’s Cookson 12 Grace O’Malley second (IRC and ORCi), and Kevin Whelan’s Beneteau 45 F5 Reve, the PHS leader. 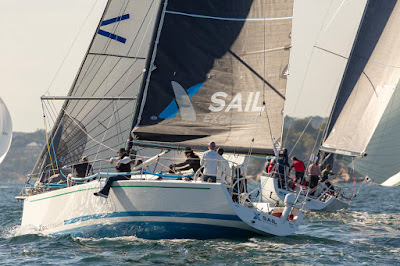 Two retirements came in the early hours of Sunday morning, Neville Blair’s Beneteau 47.7 Sports Bar due to mainsail damage and the overall winner of the Ponant Sydney Noumea Yacht Race, Seb Bohm’s Smuggler, skippered by Sam Price in the owner’s absence, out of the race with engine problems. At 12:56 hours Ian Creak’s Ausreo crew advised they had hull damage and would make for Port Stephens, the third retirement. The Macquarie coast forecast for the remainder of Sunday is northerly winds 15-25 knots turning westerly 20-25 knots in the evening and winds reaching up to 30 knots offshore south of Crowdy Head in the late evening.